India has cleared the first payment of 15 per cent to seal the deal for 36 Rafale combat aircraft with the French Government. Sources told India Strategic that the instalment was cleared recently, and as per the contract, the French Government will deliver the first few aircraft within three years, that is sometime in 2019. 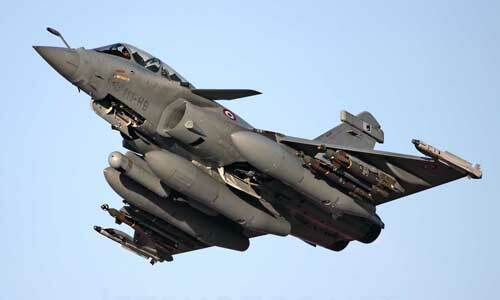 India has though requested France to speed the delivery to the extent possible. Industry sources in Paris also said that aircraft manufacturer Dassault had started working with its partners well in advance towards the Indian requirement, particularly as the Indian Air Force had asked for some specific modifications. Dassault leads the consortium with Safran and Thales doing the engines and electronic systems and suites. In fact, the latter two have higher share each than Dasssault which designs, integrates and markets combat and civil aircraft.